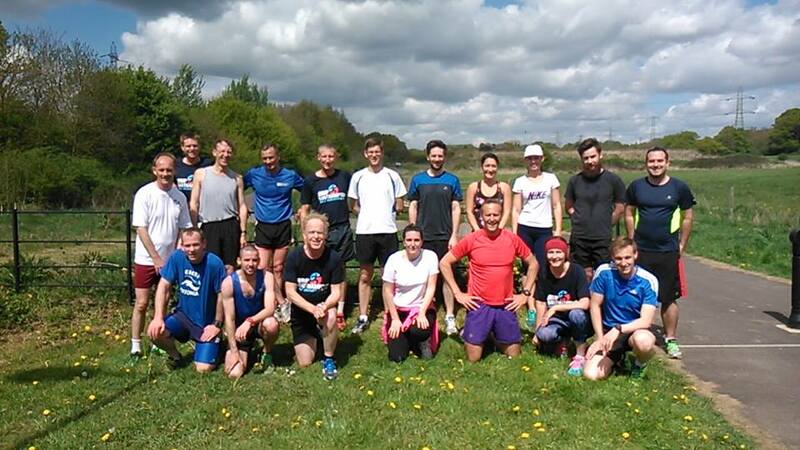 Well done to everyone who ran the handicap today, especially those who ran in either of the ABP Southampton events at the weekend and the first timers. 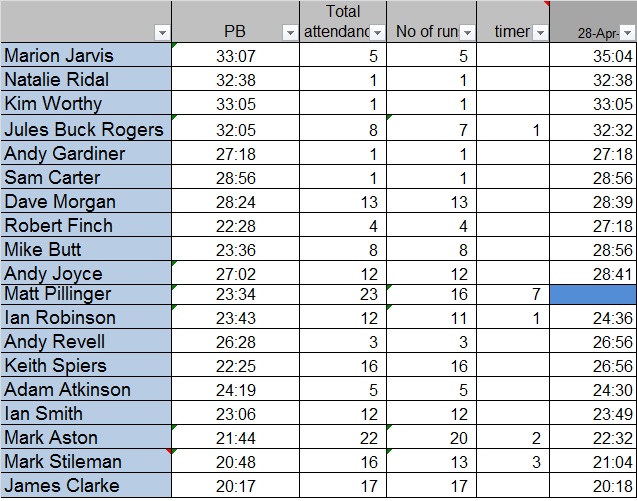 There were 18 runners, which was the joint best ever attendance for a ‘normal’ event, i.e. excluding the Anglicap and Horton Handicap. I was especially pleased to see 4 first timers – so a big welcome to Sam Carter, Andy Gardiner, Kim Worthy and Natalie Ridal – the handicap is run every month in the last week of the month, over the same course – but we alternate directions each month, so next month we will start where we finished today and run the course clockwise. Unfortunately there were no personal bests today. James Clarke came closest, just one second outside his best time. In terms of current consecutive attendances (timing or running), the leader remains Mark Aston, who has participated in every event since August 2014, Ian Smith is in second, with a run stretching back to September 2014. The next handicap will be on Wednesday 27th May and I will send around an invite closer to the time.